AMD has pulled off a design feat when it comes to manufacturing its latest Ryzen processors – which are due to land imminently – with the CPU being more compact than a 14nm Skylake processor from Intel, and doubling up on the amount of L2 cache, too. According to a report from EE Times, engineers from AMD made these revelations in a paper which stated that a quad-core Ryzen processor was just over 10% smaller than a quad-core Skylake CPU, taking up 44mm2 in terms of its area, compared to 49mm2 for the latter. Both CPUs are manufactured using a 14nm process. 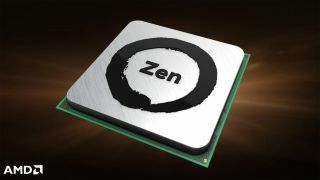 The Zen-based effort from AMD will also boast 512KB of L2 cache in comparison to 256KB on board the Intel chip. These are design wins which add to the current feeling of anticipation building around the Ryzen CPUs, which it’s hoped will make AMD competitive again in the processor world – meaning lower prices for processors all-round in the longer run, with any luck. Apparently even Intel’s engineers have admitted that Zen clearly looks competitive, which is certainly no bad sign. Most of the chatter thus far has been about eight-core Ryzen CPUs, and indeed this report also mentions that AMD has two eight-core designs running at 3.4GHz with simultaneous multithreading. Naturally, we’ll only know how competitive Ryzen actually is when it comes to the launch of the processors, although as we mentioned previously, the many leaks that are popping up here and there are certainly building excitement – with some nicely impressive benchmarks around. Indeed, we saw some pretty compelling game benchmarks at the close of last year (albeit from engineering samples), with positive noises on the power efficiency front, too. AMD said it will launch the Ryzen chips at the beginning of March, although there has been chatter on the grapevine that they could start shipping marginally quicker – as soon as the end of this month.